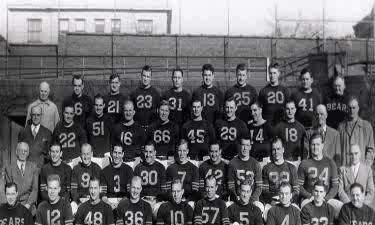 The 1946 Chicago Bears season was their 27th regular season and 9th postseason completed in the National Football League. The club posted an 8–2–1 record under head coach George Halas making his return from World War II en route to a Western Division title and an appearance in the NFL Championship Game. In the title game, the Bears defeated the New York Giants for their seventh league title and their fourth of the decade. For more details on this topic, see NFL Championship Game, 1946.